Surfers come from all walks of life – doctors and dentists, janitor’s and journalists, mothers and fathers, sons and daughters, old and young, rich and poor. Surfing reaches across religious and geographical boundaries as well. 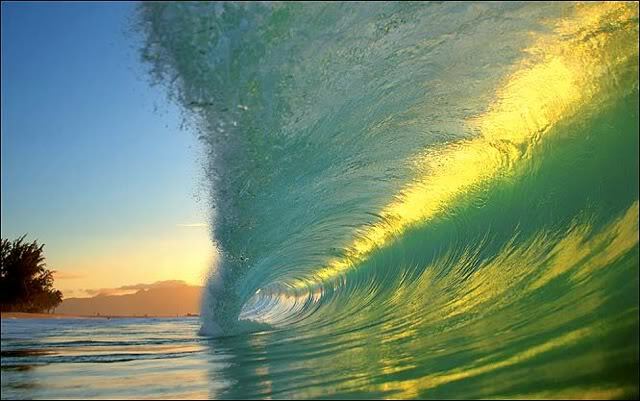 Surfing is a recognized amateur sport in 54 nations with surfable waves in well over 120 nations. Surfers are just as likely to be found on the sun-soaked beaches of California as they are on the cobble-lined coves of a Mediterranean island or even wading through the snow towards the ocean in Norway or Alaska. People everywhere are dreaming of the perfect ride on their favorite wave; this is the common experience for us all. There seems no end to the lengths people will go to once surfing has a hold of them. All surfers know what it means to track the weather patterns hoping that the lines on the map will add up to the lines on the ocean and result in waves at our local surf break. It’s this random nature and high level of participation and preoccupation with waves that sees surfing described more as a lifestyle or art form than a sport. You can’t book in for a ‘round of surfing’, or enjoy ‘3 sets of waves’ every Thursday at 1pm like other sports. The pursuit of these elusive waves means revolving one’s life around the weather patterns. Surfers will often choose jobs, cars, homes, holidays, friends and even partners to ensure they catch the swell. This passion for riding waves is coupled with the realization that when surfers do, it is such a gift. The amazing agreement of the wind, swell, tide and sand to produce perfect waves is a fleeting thing. The pure fun of riding waves, with a bunch of friends or in solitude is what keeps us coming back to the ocean again and again. It is said that life on Earth originated in the oceans and maybe the desire to be one with our source and very essence of life is what keeps us coming back for more. Soul Surfers engage nature in such an intimate way that very few people have access to. Is it any wonder so many speak of surfing being a spiritual experience? Especially at times of good surf in beautiful surroundings. The intricate combination of all the mysterious forces of our Universe that were set in motion billions of years ago led to this perfect wave in this moment. This realization alone is truly a humbling experience. Some call this mysterious force that creates the tides and life as we know it, ‘mother nature’. Others simply call it ‘God’. Australian grass roots surfing magazine ‘Tracks’ refers to itself as the ‘Surfers Bible’ and surfing accessory company Ocean and Earth as a current slogan has ‘Surfing is our religion’. ‘Pray for Surf’ is yet another slogan surfers are all too willing to identify with. Such is the religious fervor of surfers about their surfing. ‘Only a surfer knows the feeling’ or ‘the search is eternal’ – famous lines from the marketing of popular surf brands. All true soul surfers know the intense longing and love of riding waves. Surfers love a challenge; from the extreme edges of surfing to the core heart of the hard-core local and to the wide-eyed learner stoked to just be in the ocean. It is my intention through this note to share with each of you my experience and love of surfing, so that you may be inspired to pursue your dreams and goals in a way that is ever growing and evolving towards the fulfillment of whatever deeper purpose is calling you. Over The Hill and Out of Luck? Not A Chance! Anthony Chiaravallo is a modern day eco-renaissance man with a passion for social business and a love of all things creative. As Founder / Publisher of Conscious Connection, he's committed to empowering people everywhere to be the change the world needs while designing the ultimate lifestyle in the process. Always in pursuit of a new adventure, he can often be found running Conscious Connection during mountaineering expeditions or eco-surf trips.